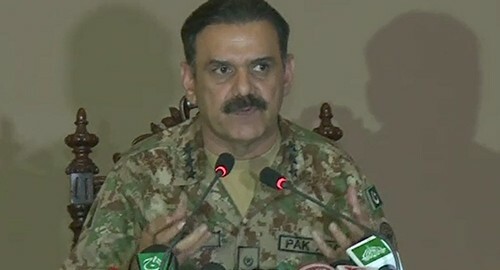 RAWLAPINDI (92 News) – DG ISPR Lt-Gen Asim Saleem Bajwa has said that the Charsadda attack was being controlled from Afghanistan. Addressing a press briefing on the Charsadda attack on Saturday, he said that terrorists had entered Pakistan like common citizens through the Pak-Afghan border from Torkham. He said that weapons were purchased from Darra Adamkhel. “The terrorists attacked Bacha Khan University with the help of their facilitators,” said the DG ISPR. 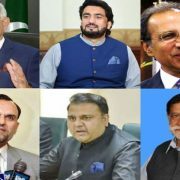 The DG ISPR disclosed that Umar Mansoor was terrorists’ commander, while Riaz, Noorullah, Zia, Noorullah, Ibrahim and Adil acted as facilitators. He said that 2016 was the year of an end to terrorism. “We have told the Afghan government that terrorists operated the attack from Afghanistan. Two women provided the weapons,” he said. Lt-Gen Asim Saleem Bajwa said that a journalist had not informed anyone despite knowing about the attack. “A call between a terrorist and a journalist was also traced during the attack,” he disclosed.